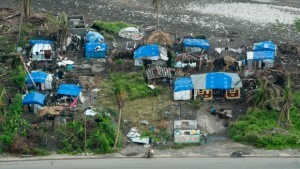 Canada has recently announced that it will be giving $54 million for disaster relief and long-term aid in Haiti. The majority of the money will go towards developing long-term projects in the agricultural sector. About $2.6 million will go to helping those directly impacted by Matthew, and $1.4 million will go towards Sunday’s Haiti elections. PORT-AU-PRINCE, Haiti — Canada will give $54 million to Haiti over the next five years, including more than $2 million in immediate aid, International Development Minister Marie-Claude Bibeau said Friday.